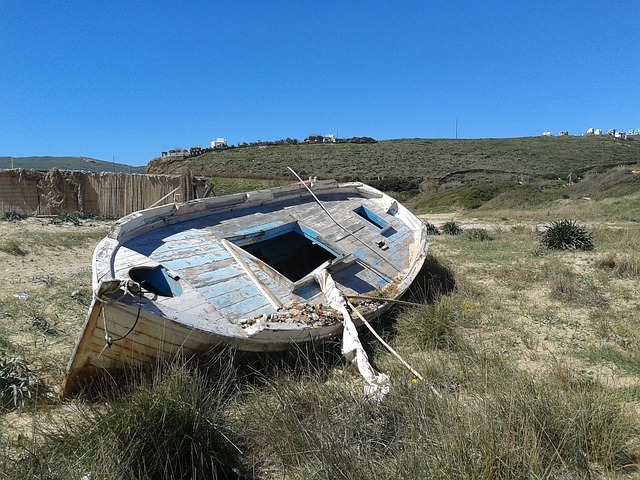 Andros is the largest and most northerly of the Cyclades group. Due to its ease of access from Rafina on the mainland, it is popular with wealthy Athenians as a spot for a second home, and with others as a holiday getaway. Andros is big enough to absorb plenty of visitors, though, being over 40km from one end to the other. It is quite a mountainous island, too, with Mt Petalo in the centre rising to 944m. This divides the island into two distinct halves, the north being more rugged and barren, while the south is much more fertile and green. Andros has been inhabited ever since the Ionians arrived in about 1000 BC, and since then the Romans, Venetians and Turks have all left their stamp on the island. 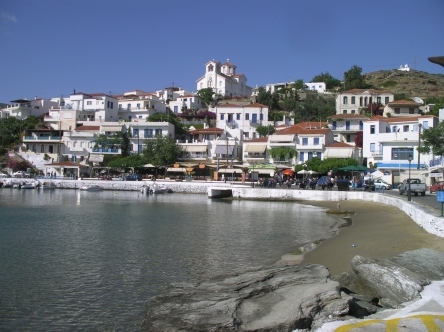 To get to Andros you need to fly to Athens and then take the ferry from Rafina. 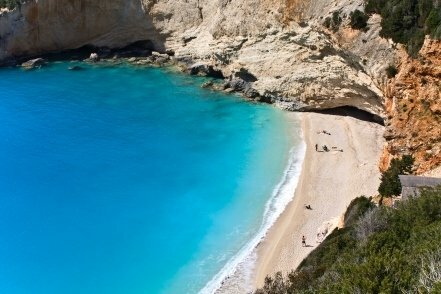 There are several fast ferry connections per day between Rafina on the mainland and Andros, with a journey time of about two hours. Andros Town (or Chora) shows the influence of the wealthy Athenians who have lived here over the last couple of centuries, with many elegant Neo-classical mansions. Many of these were built during the 1920s and 1930s, when Greek shipping dynasties amassed incredible wealth by dominating the world’s maritime trade. The town has a clean and prosperous air, its main street pedestrianised with marble slabs underfoot. The town has a good Archaeological Museum as the island has been quite rich in finds, and it also boasts an unusual and very good Museum of Contemporary Art, housed in two buildings and featuring work by artists including Rodin and Barbara Hepworth alongside modern Greek artists, and with a delightful sculpture garden too. 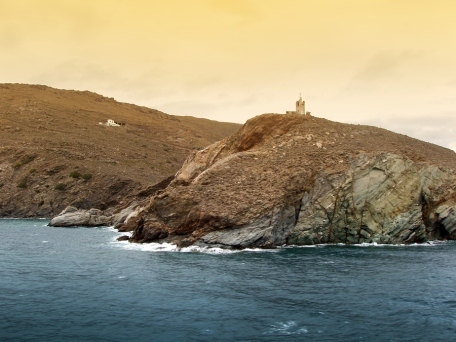 There are plenty of good beaches on the south and northeast coasts of Andros, both busy and peaceful, and no one should miss seeing the Monastery of Moni Panachrantou. This is in the mountains south of Andros Town and 230m high. It was founded in 961 and is kept immaculately, even though only a handful of monks now live here.